Wonderful news! The Cook Companion App has been featured in the App Store as one of their best new Apps, along with some beautiful images! It’s great to see it promoted as a locally developed App. Creation and delivery of the App has been a team effort, with the team made up of me and my personal assistant Katie Barnett, the App developers b2cloud and a trusted crew of designers, photographers, editors and assistants. Read more about the Cook’s Companion App here. So what does it take to turn the Cook’s Companion in to an App? We’ve put together a fun behind-the-scenes video to give you a little taste of how we created the delicious images that are a unique feature of the App. Hundreds of dishes cooked by me and a team of kitchen assistants, captured by two talented photographers. Groaning lunch tables after shooting were a great perk! This competition is now closed. Congratulations to our winner, T. Spargo. Imagine being in the supermarket and looking up the ingredients to tonight’s dinner while you’re cruising the aisles. 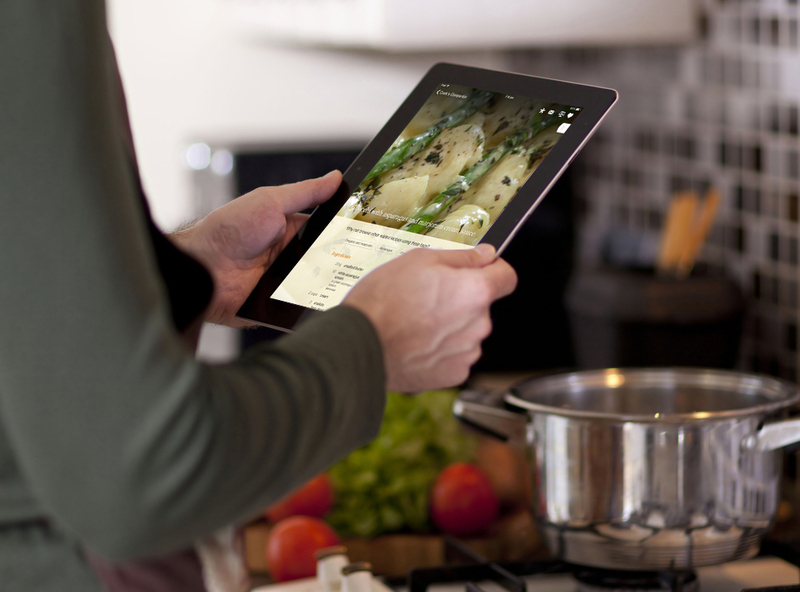 Imagine being just a tap or a swipe away from 2,000 recipes on your phone or tablet at any time! 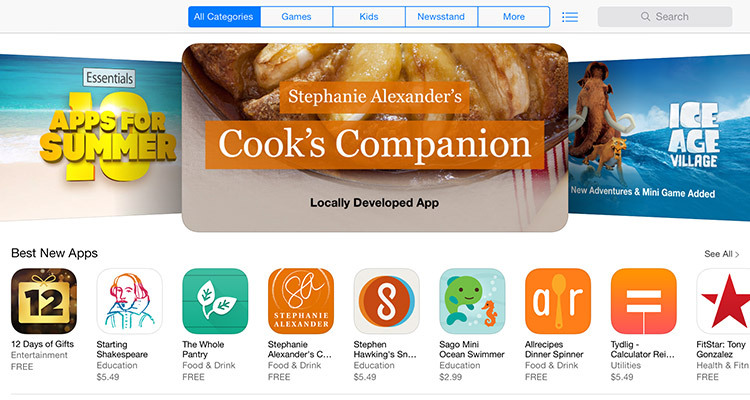 The Cook’s Companion App is a vast digital cookbook based on Stephanie Alexander’s bestselling ‘kitchen bible’. As well as recipes, the App is brimming with authoritative advice about ingredients, selection and storage, preparation and cooking, plus hundreds of inspiring photos. There is so much you can do with this content-rich App: Search for a recipe by name, style or ingredient. Look up meals to cook in under 30 minutes. Watch a video to learn how to make your own pasta or how to fillet fish. 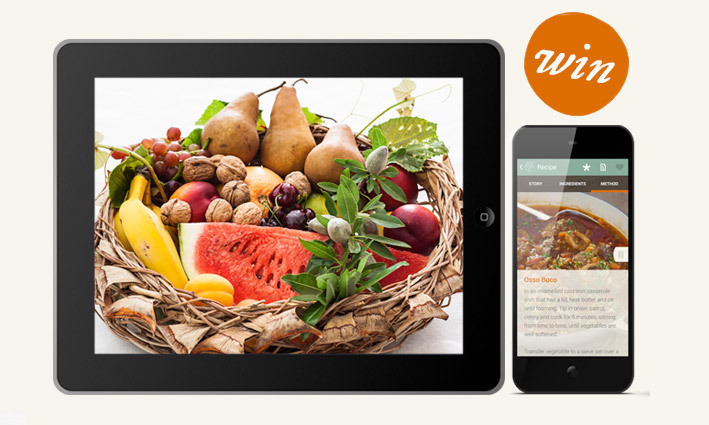 Enter below to win the full version of Stephanie Alexander’s Cook’s Companion App for iPhone or iPad valued at $49.99. (Please note you must have an iOS 6.0 or later compatible device to enter or win).